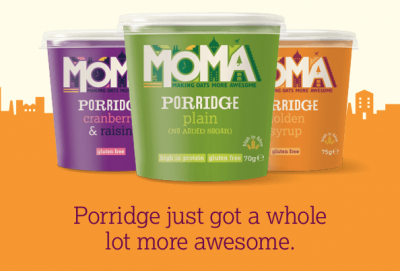 MOMA Makes Oats More Awesome. If you like oats, you’re in the right place. If you’re not too fussed about oats, you’re also in the right place. We’ve been making the humble oat a whole lot more awesome for ten years. Why don’t you take a little look through our video to find out more, and meet Tom the man behind MOMA.